Are you using WordPress and wondering how to improve it’s SEO? Using these useful WordPress SEO tips, anyone can improve the overall website in terms of speed, user experience, and SEO. 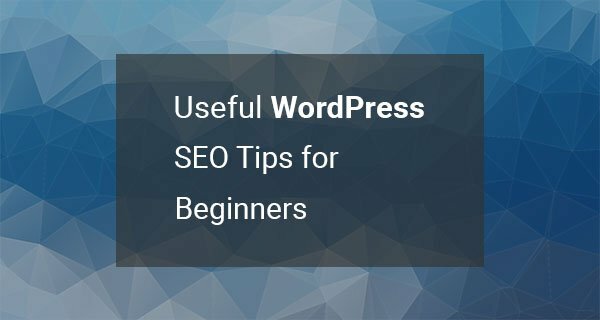 This post is specifically for beginners who are trying to understand WordPress SEO. Many professional SEOs used these WordPress SEO tips to improve organic search traffic so you can use them too. Ranking any WordPress website will take some time. If you are looking to generate some quick traffic on your website, then you check out this post on how to promote your business online. If you are trying to rank a website through SEO you should keep this in mind. Every other website in your industry is having the same goal as you, they all want to rank their website on the 1st position. So, there will be some competition and only time and good SEO practices can help you achieve your goal. So without further ado, let’s Check out 10 useful tips to improve your website’s SEO. If you are starting a new WordPress website, then you should improve your website structure for SEO. A well-structured website will improve your chances of ranking higher in Google search results. Yoast SEO is one of the best WordPress SEO plugins. It has millions of downloads and almost every second WordPress website uses it. Yoast provide lots of SEO features, and it is quite easy to configure. However, I would recommend that you should use features that are needed and don’t over optimize pages. Write content for people not for search engines. You can also install Yoast SEO premium to have additional features. Here, I have written a review on Yoast SEO Free and Yoast SEO premium differences. Write content to improve your website’s organic search traffic. More content increases your chance of bringing organic search traffic to the site. You can check out these small business content marketing tips to improve your blog posts. It is a great way to decrease bounce rate and give visitors a chance to explore further content. Internal links can also help your website visibility in search results. You can check out this article on what are internal links and why you should add them to your WordPress website. You can check out this post on how to find and fix duplicate content issues. Search engines crawl websites to find out fresh content. It’s a job of the webmaster to provide the best structure and a sitemap to ensure that Googlebot can easily crawl the website and find that content. To improve your website visibility in search engines, you should consider creating a sitemap. You can use these best XML sitemap plugins to create a sitemap. After that, you can submit sitemaps to Google, bing, and Yahoo. 7. Speed up Your Website Using Cache plugins. Page Load speed is another important factor to consider when it comes to SEO. Make sure that your website load reasonably faster than your competition. You can use either WP Super Cache or WP Fastest Cache to speed up your WordPress website speed. Also, your theme and images have an impact on page load speed. Image optimization is a necessary step for better page load speed. Compressed images load faster than uncompressed images online. I personally use Adobe Photoshop to optimize images on this website but you can use other tools as well. You can download some great quality stock images and videos to enrich your blog post. I have shared some tips and tools in this post on how to compress images without losing quality. By adding nofollow to external link on WordPress website, your website authority will increase. Any link that goes out to another website, you should consider adding a nofollow attribute. This nofollow attribute tells Google to don’t follow this link. You can add a nofollow attribute to any link through going to text mode in your WordPress post editor. Or you can use a plugin such as ‘Ultimate Nofollow’ or ‘Nofollow for External Link’. You can use many plugins to add meta tags such as Yoast SEO, All in One SEO, and SEOpressor. However, make sure that all the meta tags are optimized for SEO. Adding relevant keywords to your meta title and descriptions can help search engines a lot to understand your page content. You can check out my latest WordPress SEO guide to take your website SEO to the next level. If you’re having difficulty with SEO, then you can always hire someone experienced to SEO your website. Get a quote for my on-page SEO services right now.